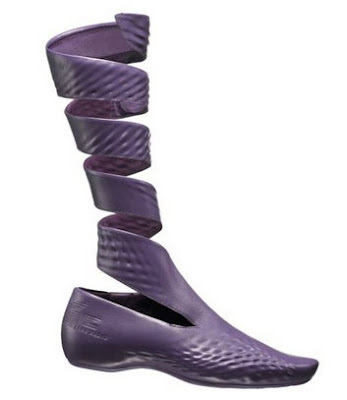 Industrial design and fashion are completely two different worlds, although one can argue that both subscribe to idea of form, function and relationship of the designed object to the users. Both have its own philosophies and disciplines and process. Both are completely and equally important. So I don’t get how some Industrial Designers like Philippe Starck would belittle fashion design who just recently partnered with Ballantyne to create a clothing line. Whether is just complete arrogance, or ignorance of fashion industry or just cautious move to protect oneself from criticism I don’t know? I think the desire for a great chair or table is completely different from the desire for a spring coat or shirt. 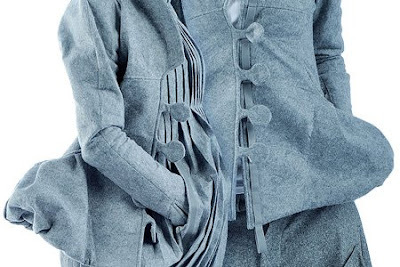 But some industrial designers like Hella Jongerius and Michael Young embraces fashion. 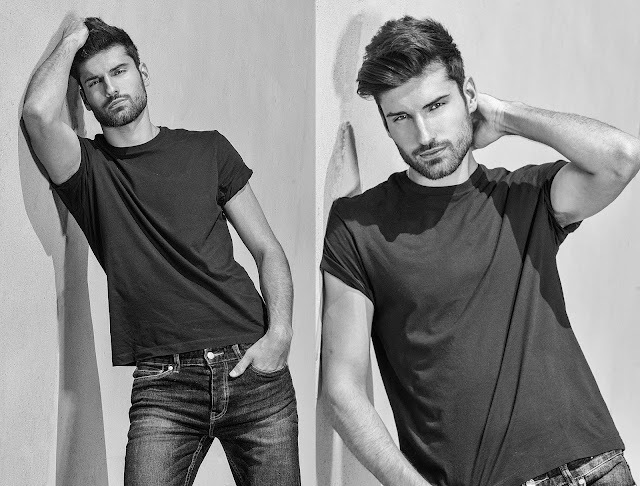 They understand that it has fashion’s purpose and operations. 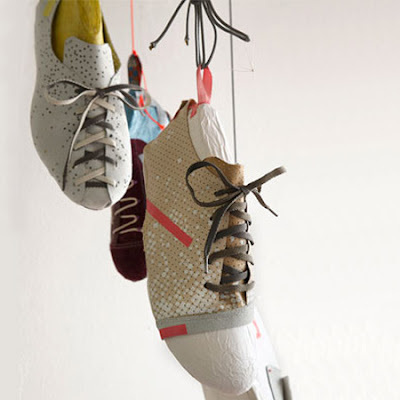 Here are some works of Industrial Designers who decides to work in fashion whether as a personal project or collaboration with a fashion or clothing company. 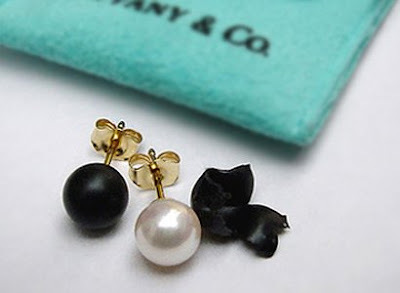 "Pearl Earings" by designer Tobias Wong. Every material has a sense of value with cultural meaning and social status. To comment on this Tobias Wong dipped the pearls in industrial matte black rubber which can be peeled off by the users whenever they want. “Ballistic Rose” by Tobias Wong. 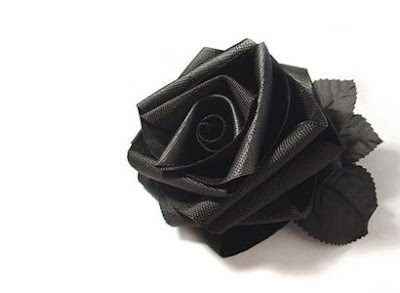 The rose is made from the same textiles as a bulletproof jacket (ballistic nylon) and is to worn over your heart for either physical or psychological sense. 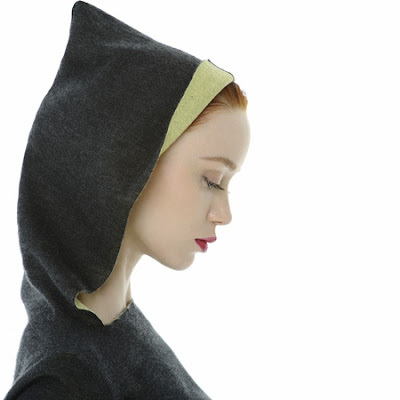 French designer Philippe Starck has designed a range of cashmere garments for Italian brand Ballantyne. 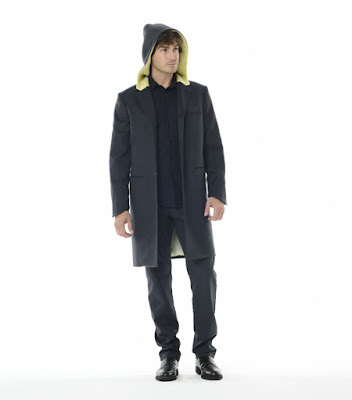 Called S+TARCK WITH BALLANTYNE, the range includes 30 items of menswear and 30 items of women’s wear. The collection goes on sale in October. 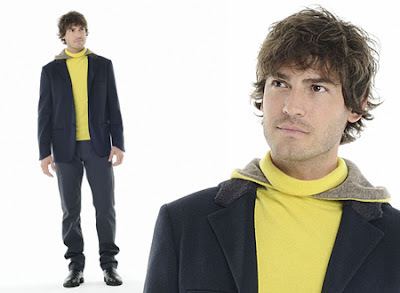 Philippe Starck vision was to emphasize the natural versatility of cashmere in a modern but timeless approach with the expression of sexiness and desirability. 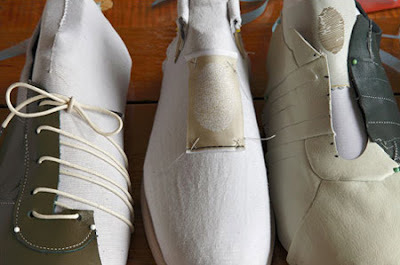 In January, he told The Guardian: "Let's hope fashion in design will disappear. 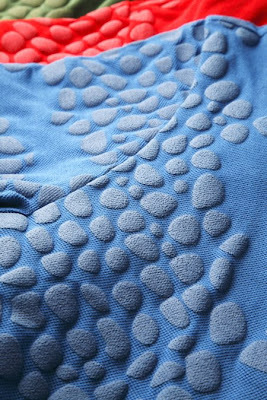 The S+arck With Ballantyne line will release 30 cashmere pieces for men and the same number for women, all of which are "non-photogenic," Starck told France's Le Figaro at the line's launch last week in Florence. "But intelligent people will know to discover us." 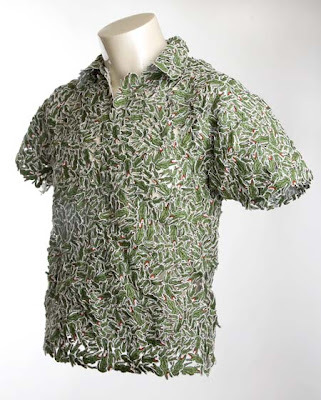 Note to Stark Rei Kawakubo, Issey Miyake, Raf Simons, Helmut Lang and even Muicca Prada had already designed and still continually producing something utilitarian in a well researched and developed fabrics that can stand changing trend. And they did it million times better than you. At least their collection doesn’t look like Halloween costumes. 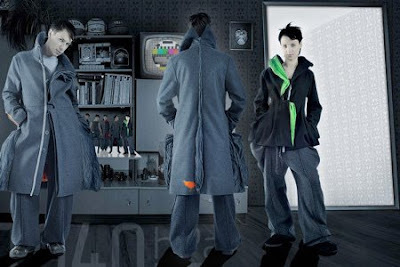 Beton 1040 HPA clothing collection. 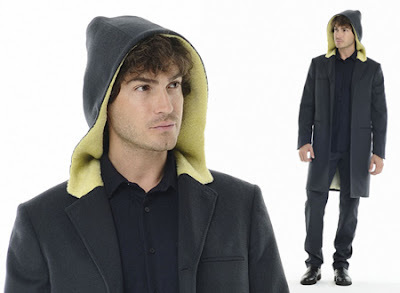 Polish designers Beton: 1040 hPa clothing collection made of multi-layered wool... 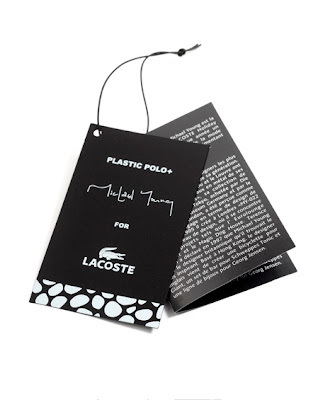 The collection features flashes of bright-coloured lining fabric poking out as if by mistake. 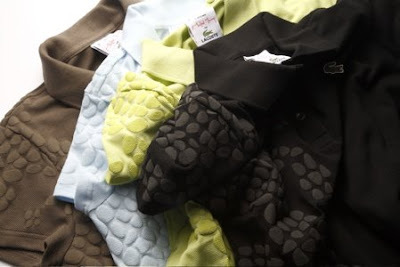 Each garment is made of a few layers of fabric, which ﬂows freely throughout the whole form. The ﬂow is sometimes broken - and then the inner layer comes out - as an error, or a glimpse of truth. I love it. I think they manage to be both utilitarian aesthetically pleasing. 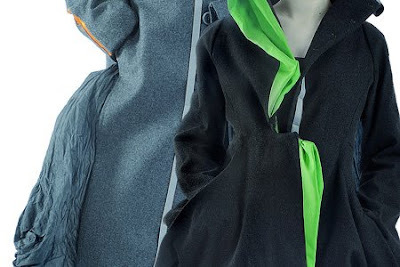 The women's coat is very interesting. 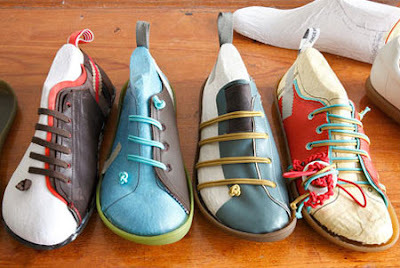 Dutch designer Hella Jongerius has created two collections of shoes for footwear brand Camper. 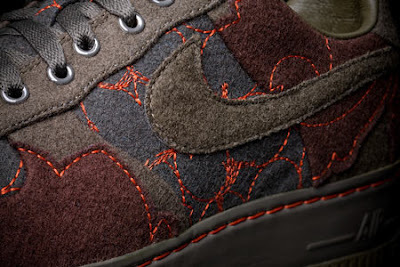 Hella Jongerius by Maharam for Nike. 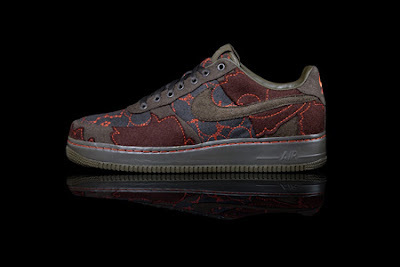 Hella Jongerius for Maharam and Nike. 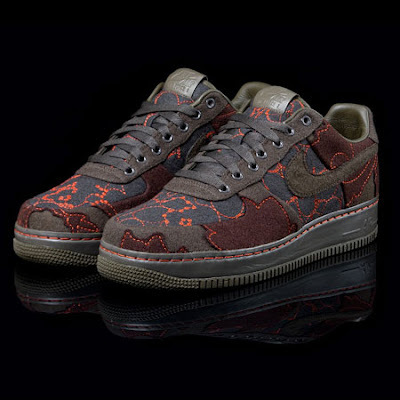 Utilizing the classic Air Force 1, Hella Jongerius gives the limited edition sneaker a layered look featuring intricate embroidery done up in Maharam textiles. 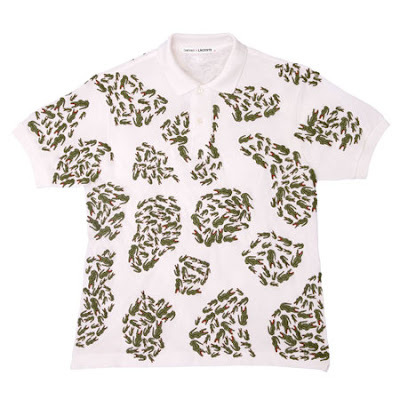 Brazilian design duo Fernando and Humberto Campana have lent their unique design view to Lacoste for a series of limited edition shirts. 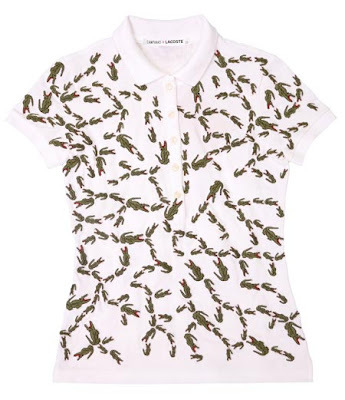 The result is certainly remarkable and different to what one is used to see from the classic French tennis inspired brand. The project is based on their famed Alligator Chair, which shows how the reptiles pile up in mud beds during the dry season in their natural habitat. 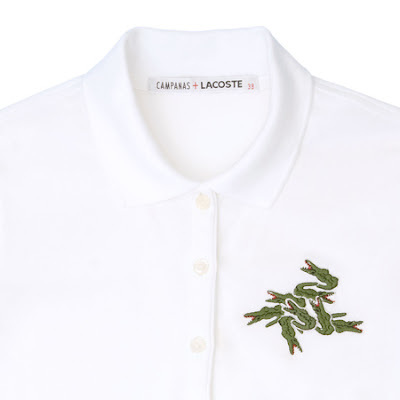 The Campanas + LACOSTE series features shirts with arrangements of embroidered reptiles, a reference to both Lacoste’s crocodile motif and the designers’ Alligator Chair, which is upholstered with cuddly toy alligators. 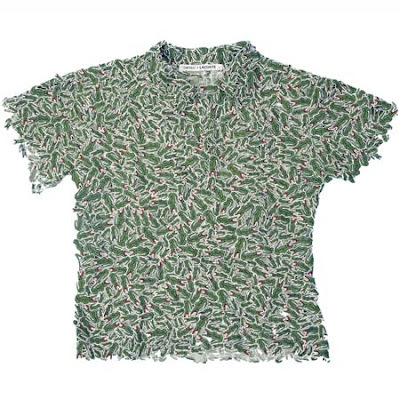 Michael Young's "Plastic Polo" for Lacoste. 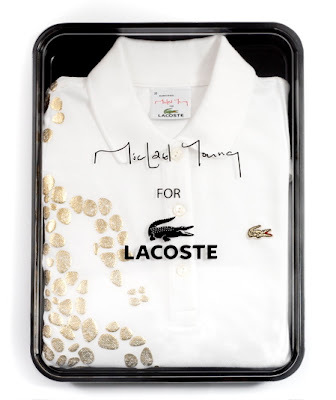 Industrial designer Michael Young has launched Plastic Polo, a range of collectible polo shirts for fashion brand Lacoste. 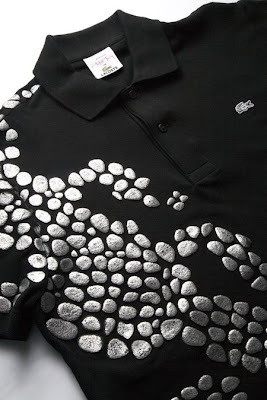 The shirts feature an applied plastic crocodile-skin pattern, referencing Lacoste’s crocodile logo. 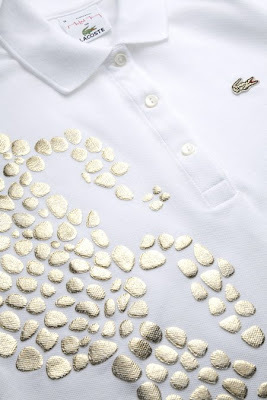 Since plastic has always been a favorite material of Michael Young, so for LACOSTE experimented with combining plastics and fabrics to create a fresh, futuristic polo that reflects the heritage of the brand. ‘Years ago I discovered these colourful gardening gloves in Japan that had a latex coating and started collecting them, but until now I never found any use for them,’ Young explains. 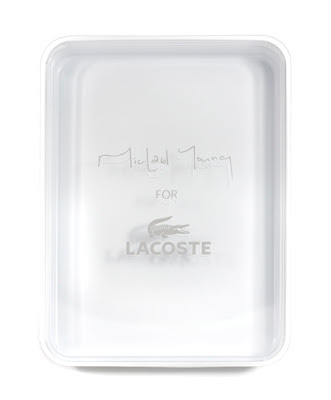 ‘When I began working on the LACOSTE project, I knew I had found my chance to explore this technique.’ And thus the PLASTIC POLO was born. 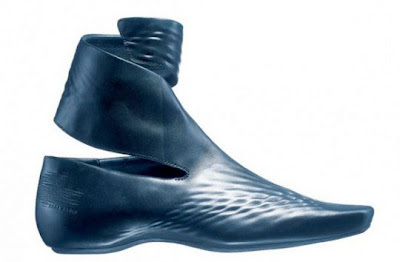 The shoes, rubberized structures that wrap around the leg (angle high for men and calf high for women) are as conceptual and beautiful as Hadid’s architectural creations themselves. Looking at the point where the three fashion icons meet you can see that each of them have established their own style. Uniqueness has enthroned these now icons of fashion photography.